The Caister Lifeboat Experience at Caister Lifeboat Station01493 722001work Heritage CentreCaister Lifeboat Information Centre - tracing over 200 years of history of the country's only independently operated lifeboat. 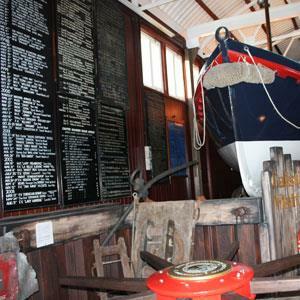 Experience the triumphs and tragedies of the Caister lifeboat men through the years. Include a visit to our new shed to see our present Valentijn Class lifeboat the Bernard Mathews II. 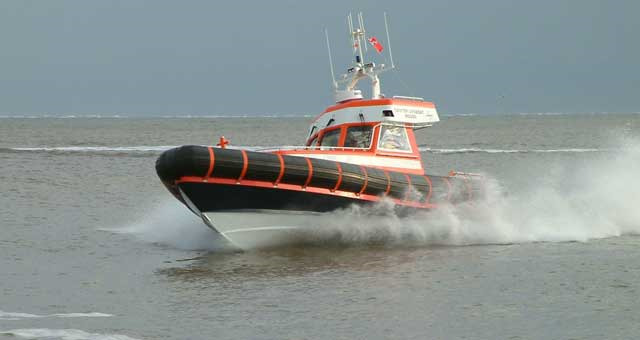 Powered by twin Volvo Penta, 450 horse power water jets, giving a cruising speed of 37 knots, it is the fastest offshore lifeboat in the UK. 14 April to October: Wednesdays & Sundays from 10:00 am to 3:30 pm and also for Bank Holidays and on Thursdays during the school summer holidays. Adult admission: £2.00 including a fully illustrated souvenir brochure and a special lifeboat brew of tea or coffee. Free admission for accompanied school age children. On arrival in Great Yarmouth follow signs for the A149 Caister-on-Sea. Proceed straight ahead at the Yarmouth Stadium mini roundabout towards the village, and straight ahead again at the next two mini-roundabouts. Take a right hand turn at the Beach Road mini roundabout and continue until the end of Beach Road where the car park is located.